A woman whose sight was saved thanks to a double eye transplant wants to encourage others to consider donating their organs. 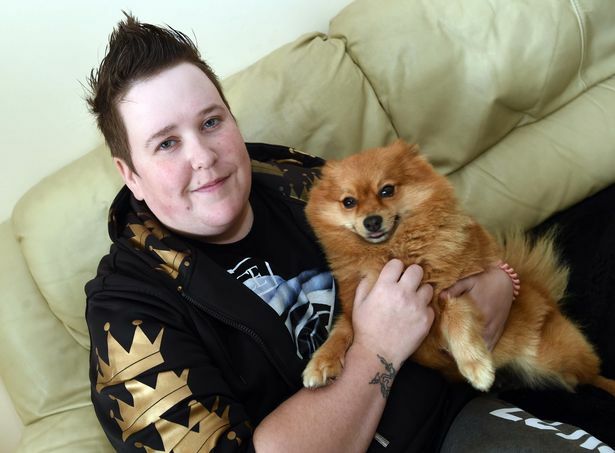 In 2012 Jennifer Jones, 29, was diagnosed with keratoconus – a serious eye condition which causes a cone-shaped bulge to develop in the cornea. The Morfa Nefyn woman booked herself in for an eye test after she began having triple vision with her eye sight getting rapidly worse until she was only able to see outlines and bright lights. 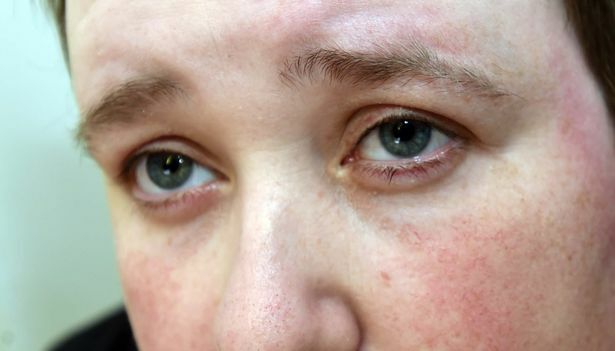 She was transferred from Ysbyty Gwynedd to St Paul’s Eye Unit in Liverpool where she was given laser therapy to flatten her cornea but when this operation was unsuccessful, Jennifer was told that her only option of regaining her sight was to have an eye transplant. Jennifer underwent surgery for a full cornea transplant on her right eye in March 2016, followed by a 90% transplant on her left eye in March this year, donated by the families of two women. 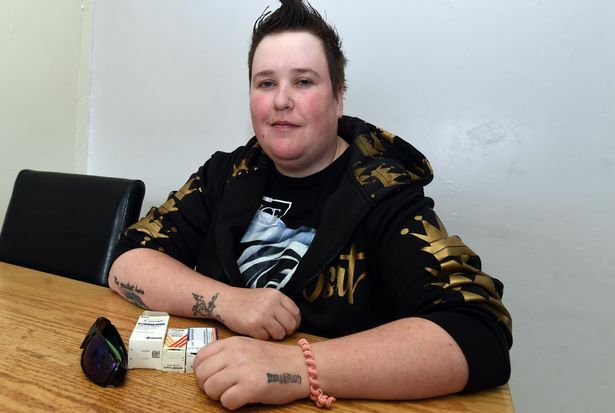 She now wants to encourage other people to opt in for organ donation and says even she wasn’t registered to donate her cornea if she passed away. “How hypocritical was I?” she said, “I ticked every box except for eyes because I always thought I didn’t like the thought of someone walking around with my eyes. “Eyes are a very personal thing aren’t they – people fall in love with people’s eyes. “It’s a very strange situation to be in when you’re waiting for a body part to be donated because you’re essentially sitting there waiting for someone to pass away. 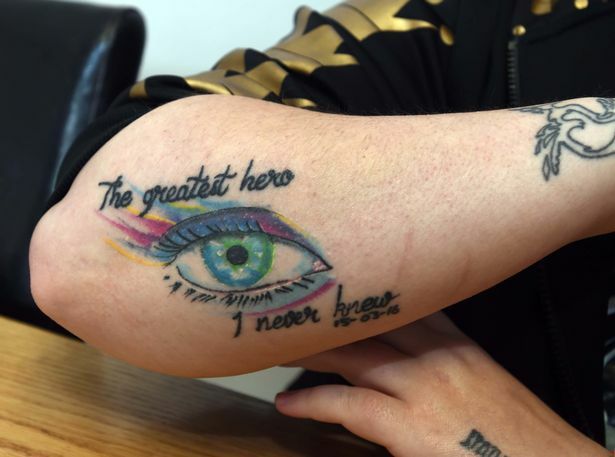 Jennifer, who has a tattoo in honour of the donors which reads “the greatest hero I never knew”, has now written to the families of both organ donors in the hope that they will agree to meet her so she can thank them in person. “There is nothing I’d like more than for these two women to still be alive,” she said, “but I am so grateful that they ticked the box to donate their eyes. “All I know about them is that they were both 46 years old when they passed away – that’s all I really wanted to know so that I could keep count of how old my eyes are! “There’s no way I can repay them personally, so to be able to thank their families in person would be amazing. “Now that they’ve given me a new lease of life I want to see as much as I can, not just for me but for them. “I feel like they’re still seeing through me in a way, so my goal is to travel to Iceland to see the Northern Lights. “I would definitely encourage others to sign up to the organ donor register and inform their loved ones of their decision. “Such a small gesture can save and transform the lives of up to nine people. On 1 December 2015, Wales was the first country in the UK to move to a soft opt-out, system of consent to organ donation.